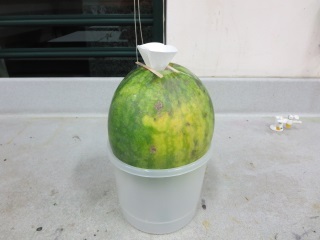 Never go back to a lit melon! We make a lot of things out of iron, usually in the form of mild steel and one of the major problems with it is that it rusts. Unless the object is protected in some way, the iron reacts with oxygen and water around it to make the hydrated form of iron (III) oxide. Rust is hydrated iron (III) oxide and is seen as the orange-brown solid that forms on the surface of the steel. At school we often carry out an experiment with nails to illustrate the factors involved in rusting. 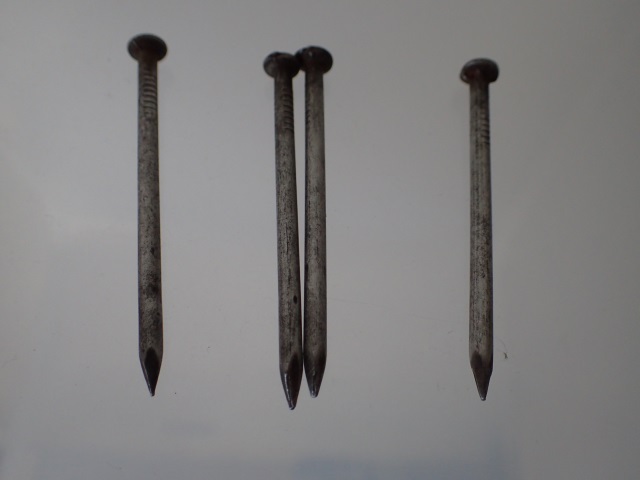 Which nail rusted the fastest? The nail that rusted fastest was the one with both oxygen and water present. 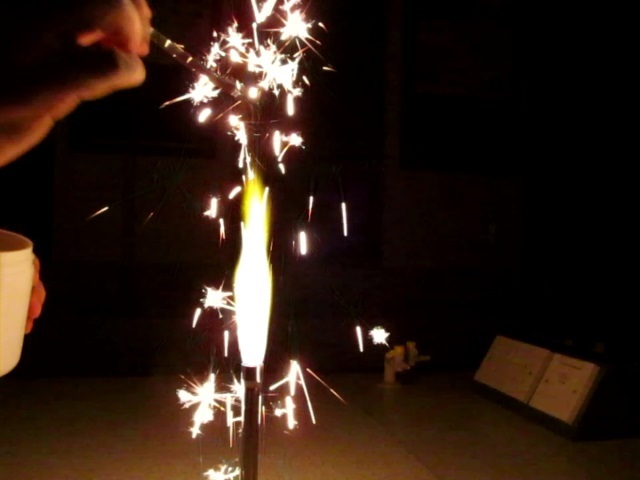 Iron oxidises rather more quickly when iron filings are sprinkled in a Bunsen burner flame as shown here. 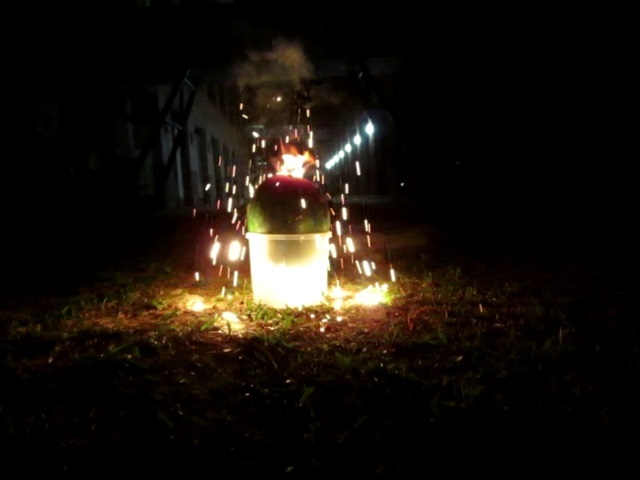 Iron wool also burns quite dramatically when ignited and swung around on a piece of string. Have a care that doesn’t drop in your hair! Iron forms more than one oxide during these reactions, but it is the orange-brown iron (III) oxide which is most stable and widespread around us. 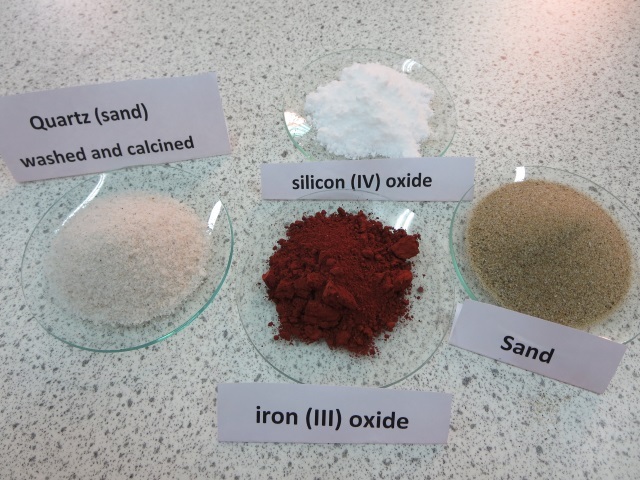 For example, sand is sand coloured due to contamination of the quartz with this iron oxide, otherwise it would likely appear white. What gives sand its sandy colour? Vast quantities of iron oxides are mined and the iron is extracted from them. This is done by heating iron oxide with carbon in a Blast furnce. A reduction reaction takes place as the carbon takes the oxygen away from the iron. But perhaps the most dramatic reaction of getting the iron out of iron (III) oxide at school is seen when carrying out a Thermit reaction. Here aluminium takes the oxygen away from iron as it is the more reactive of the two metals. 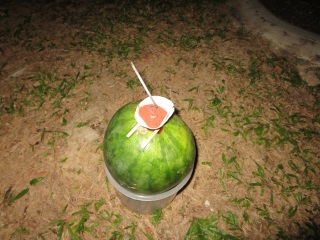 To illustrate the spectacular nature of the Thermit reaction we decided to carry it out at night over a watermelon. Our example is not as awesome as the half a ton of Thermite Jamie Hyneman and Adam Savage used on a car in MythBusters, but it was quite pleasing nevertheless. 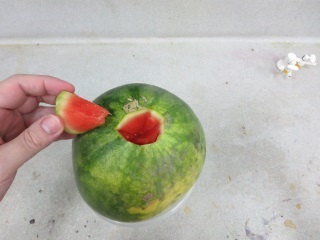 Next morning we examined the product. 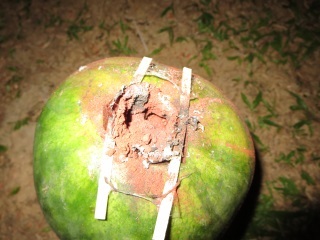 We found a lump of solid with metal in it inside the melon. It was attracted to a bar magnet, but did not appear to be pure iron. Finally, answers to questions from last time. 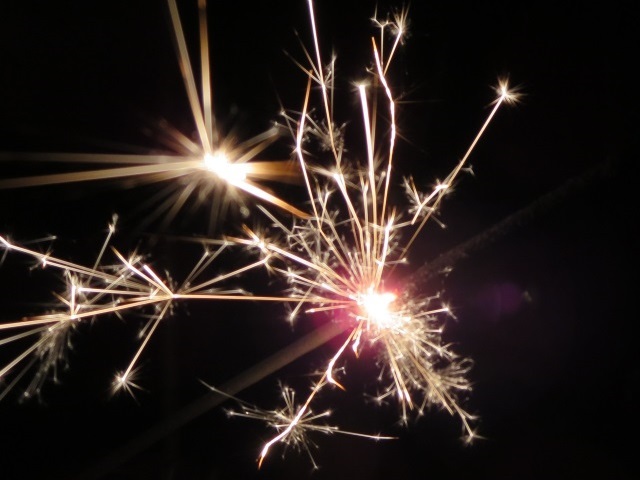 The characteristic flame colours are sodium = yellow, potassium = lilac, lithium = red, calcium = orange-red. 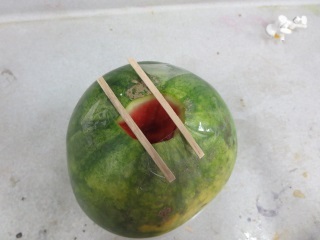 I still haven’t found out why our nitrocellulose laced with barium produced a bright white flame, rather than green on burning. Thanks to Jonathan Barton for help and encouragement in developing this work.